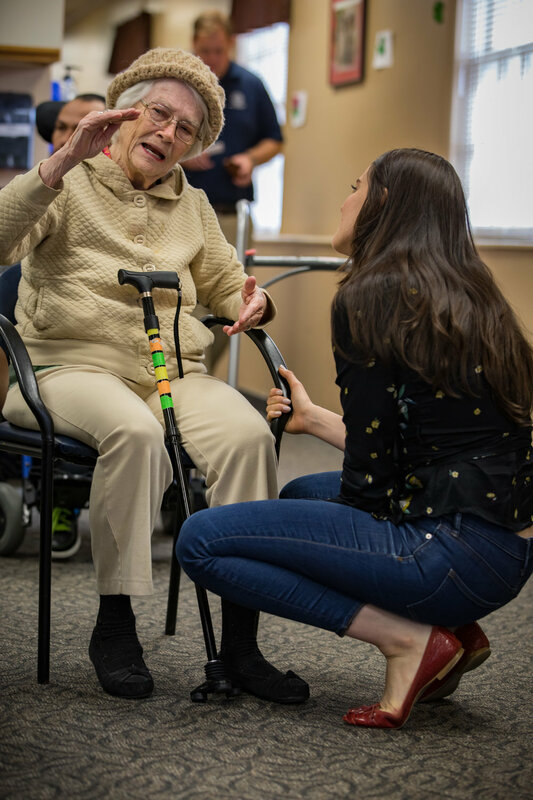 Sing For Your Seniors enriches lives through the universal language of music by bringing professional artists to the communities of seniors in need to entertain, foster intergenerational connection and create shared joy. Our enthusiastic audience is comprised of developmentally delayed and cognitively impaired adult and senior campers that are blind or visually impaired. 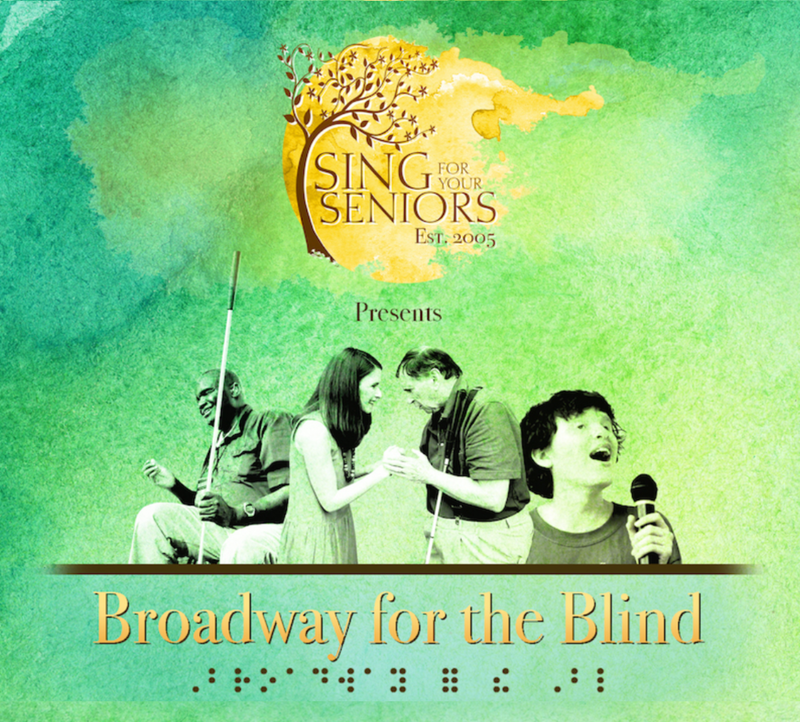 Through the performance of beloved songs and scenes from Broadway, we create a shared experience of joy and community, culminating in a finale with Braille lyric sheets so everyone can sing along! With your donation you can help us continue our commitment to inclusion by bringing live musical enrichment to Enchanted Hills Camp for the Blind. Click here to meet our talented and diverse artists, and learn how you can become a member of the SFYS family! If our seniors can't come to a Broadway show, then Broadway comes to them! There is something for everyone! Extra, Extra! Read All About Us! Check out articles documenting our recent achievements! Make a tax-deductible contribution to help us bring the arts to seniors in need! Find out how you can help! Stay Up To Date on Everything SFYS!